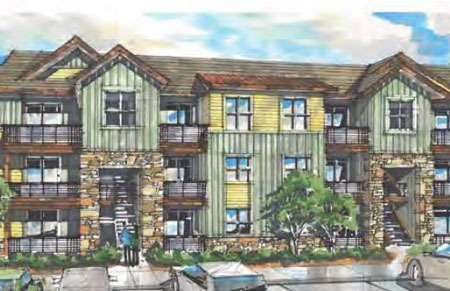 The Elements Apartment Community is a to-be-built multi-family proposed development consisting of 12, three-story apartment buildings located at the southeast corner of Eagle Blvd. and South 27th Avenue, just 15 to 20 minutes from both Downtown Denver and Denver International Airport. The community amenities will include an outdoor pool, clubhouse, cabana, dog park, children's playground and fitness facility. The Elements is anticipated to have a certified HER (Home Energy Rating System) of at least 53. The 100 geothermal wells drilled in the ground will provide the geothermal energy that runs the heat pumps in the apartment units. This system will make The Elements the largest apartment community with the geothermal system in the state of Colorado and one of the largest systems in the nation. All buildings will be pre-wired for solar to allow for installation of panels in the future to offset additional area energy costs. EverWest closed on the Preferred Equity investment in July 2016.